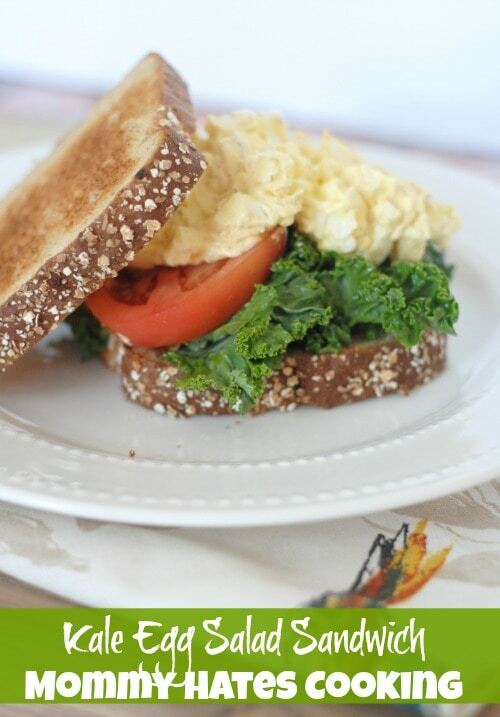 A great way to do lunch or dinner is with this Kale Egg Salad Sandwich! During the summer months, Hard-Boiled Eggs are on our menu even more because of how versatile they are to make easy recipes. 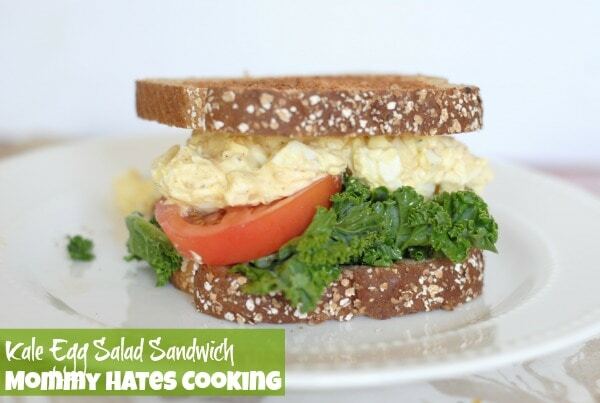 This past week, I decided to make Kale Egg Salad Sandwiches using Farmers Market produce plus an easy egg salad with Great Day Farms Hard-Boiled Eggs! 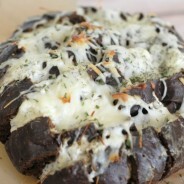 A wonderful, delicious lunch or dinner that requires no baking or cooking on your part. That is just the ticket for us being in Oklahoma where it gets so hot during the summer, the thought of turning on the oven or stove makes me melt. 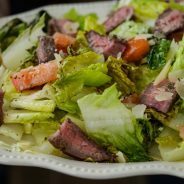 This salad is simple and can be made within about 5 minutes to prepare for lunch or dinner. That is just about all the time I have on most days to get dinner ready, so perfection! 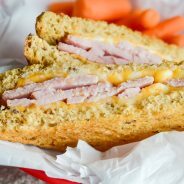 These sandwiches are also perfect to store in the cooler and take on a picnic. I know I am looking forward to several picnics this year; we may even do a few outside in our yard too for fun. This egg salad can also be easily adapted to your taste. Are you ready for a delicious lunch today? I am! Chop the Kale into salad size pieces, then toss with the olive oil and garlic. Set aside. Using a fork mash the eggs into a crumble, and place them in a medium sized bowl. Add the mayonnaise, dill weed, and paprika into the bowl and mix well with the eggs to make the egg salad. 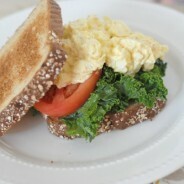 Top toasted bread with a few pieces of Kale, Tomatoes, and Egg Salad. Love the post….Hi Guest, thanks for this wonderful article. I love it because it gives me the key to join and find great resources that are trendy and already successful.